Spare parts from Instanta with next working day delivery when you order by 2.30 pm. The SF range are an offshoot of our powerful CPF Series. They have slightly less styling and reduced diagnostic features and are not programmable, but offer substantial initial draw off and excellent hourly output at a highly competitive price. 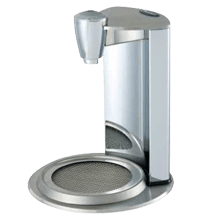 Both models feature built-in multi-functional filtration which can be adjusted to hard, medium and soft water. The InstaTap is available with a choice of four different capacities. With programmable measurement of water and automatic re-circulating, you’re guaranteed the right amount at the right temperature, every time. 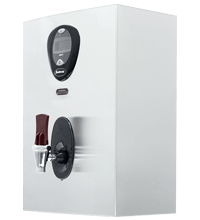 Our SureFlow Wall Mounted boilers are ideal for customers looking for the best value for money. The three models offer a more simple specification and styling with a stainless steel case, but with no compromise to the quality and reliability that Instanta is known for. 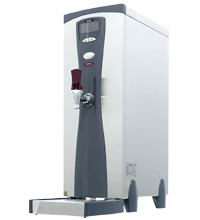 With over 50 years of expertise in hot water technology, Instanta has developed these Digital Water Baths in consultation with award winning chefs. The Sous Vide technique involves cooking ingredients in vacuum-sealed pouches at low temperatures (around 60°C) sometimes for long periods, although many dishes can be prepared quickly. 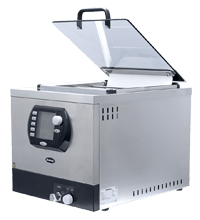 Sous Vide can improve efficiency, service and portion control and is used by many leading chefs.